To say that Bruce Wayne is tough is an understatement. He’s tough on his nemeses and perhaps equally tough on his sidekick Robin, who he teaches a lesson the hard way when the latter says or does something he shouldn’t have. One such instance has been turned into a meme, which shows Batman giving Robin a big ol’ slap. 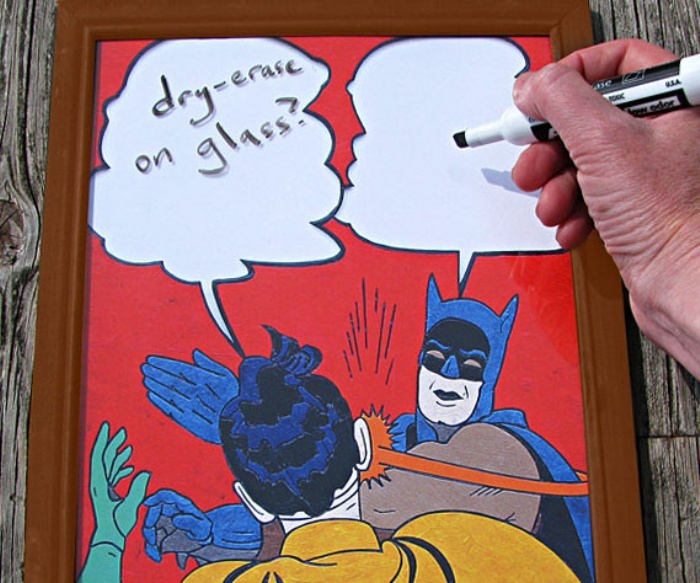 And now you can make the duo say whatever you want them to say with this meme dry erase board. Come up with creative comebacks, silly dialogues, or random ramblings– it’s all up to you. The meme dry erase board is available for $21.46. By Hazel Chua on 10/13/14 • Leave a comment! Got a case of the Monday blues? Then head on over to Slittens and turn that frown upside down. No, that’s not a link to a gallery of adorable kittens or baby animals (although checking those out isn’t a bad idea either.) Rather, you’ll find yourself starting at photo after photo of a new breed of animals called slittens. Okay, so they might look freaky at first glance, but they’ll eventually grow on you. What are slittens?, you might ask. I’ve never heard of them before. 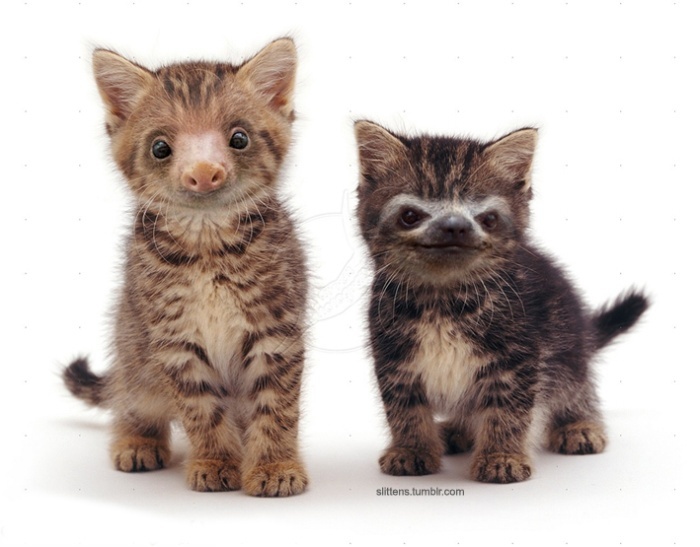 Well, they’re basically what you get when kittens and sloths come together–not naturally, of course, but by the wonders of PhotoShop. By Hazel Chua on 09/29/14 • Leave a comment! They make you laugh. They help you get a point across. They sum whatever it is you’re feeling in a few frames. That’s what GIFs does for you, in a nutshell. And unless you’re always on the prowl for the latest GIFs on Reddit or elsewhere, it sometimes takes you a few minutes of searching before finding the one that you want you use to do any (or all) of the above. But that’s where the Giffsy keyboard comes in. 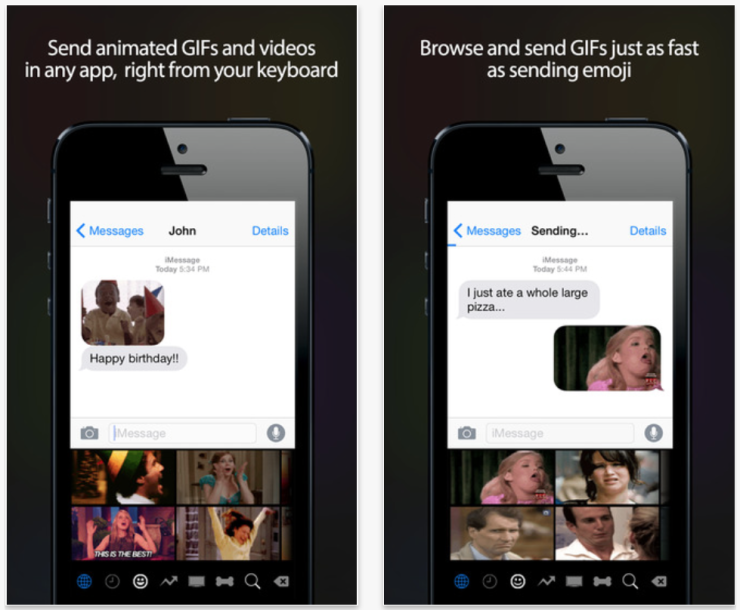 It’s an app for iOS 8 that lets users insert GIFs that they deem appropriate into the conversation. The app comes with a built-in library of GIFs to choose from while allowing users to save new ones they come across using Safari. Put on the HyperLip the next time you take a selfie and watch the likes pile up…not. It’s an unusual mouthpiece that forces the face of its wearer into a grimace. If you think only one kind of grimace exists, then think again, because these photos will prove you wrong. Who knew there could be so many ways to grimace–from smug and different to manic and just plain scary? 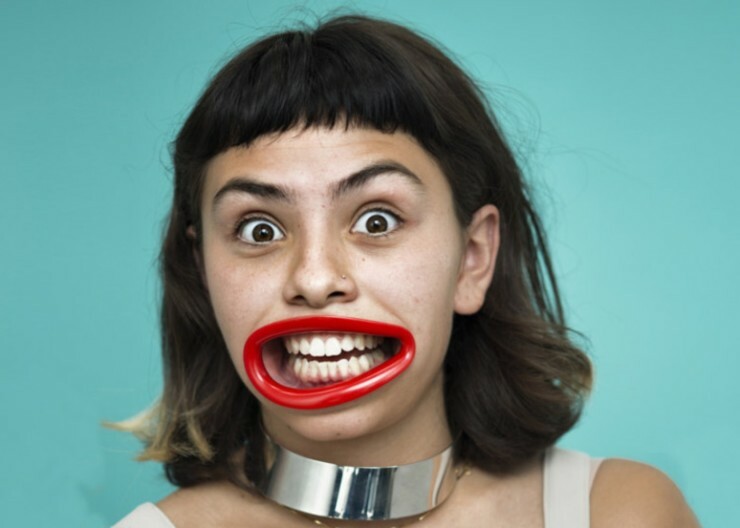 The HyperLip was created by French designer Sascha Nordmeyer back in 2009 as an art project. Now they’re back and are being used at the Olympus Photography Playground traveling exhibition, with the next event taking place in Cologne, Germany on September 11th to October 5th, 2014. By Hazel Chua on 05/30/14 • Leave a comment! Five o’clock. It’s the time of day that you look forward to the most, each and every single weekday. And on weekends if you’ve got work on those days, too. It’s ironic how time seems to crawl by so slowly when you’re at work or doing some mundane chore or errand that you couldn’t get out of. 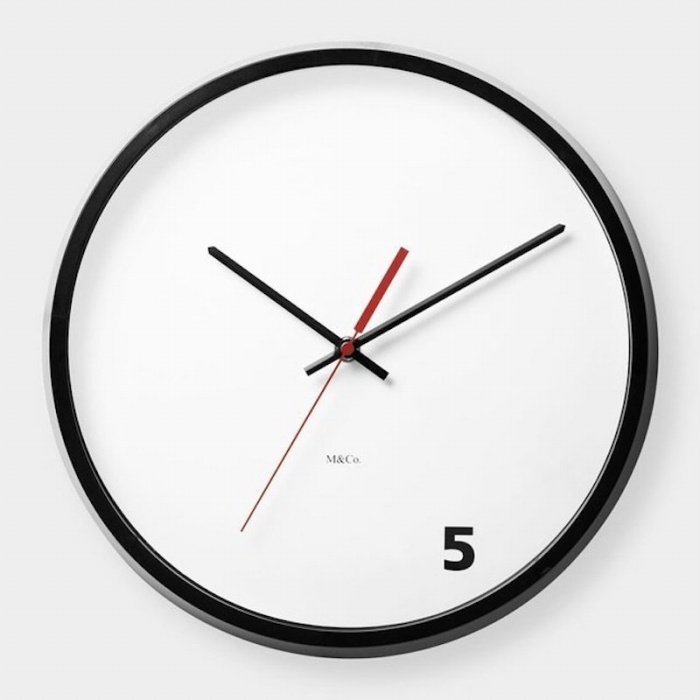 If you feel like that most of the time, then you might want to get one of these Five O’clock wall clocks. As you can see, it only has the number five printed on its face. All you have to do is glance over quickly to check how far or how close the hour hand is to five with no other numbers to distract you. You can get the clock for $100. Art is subjective. One man’s trash is another one’s treasure. 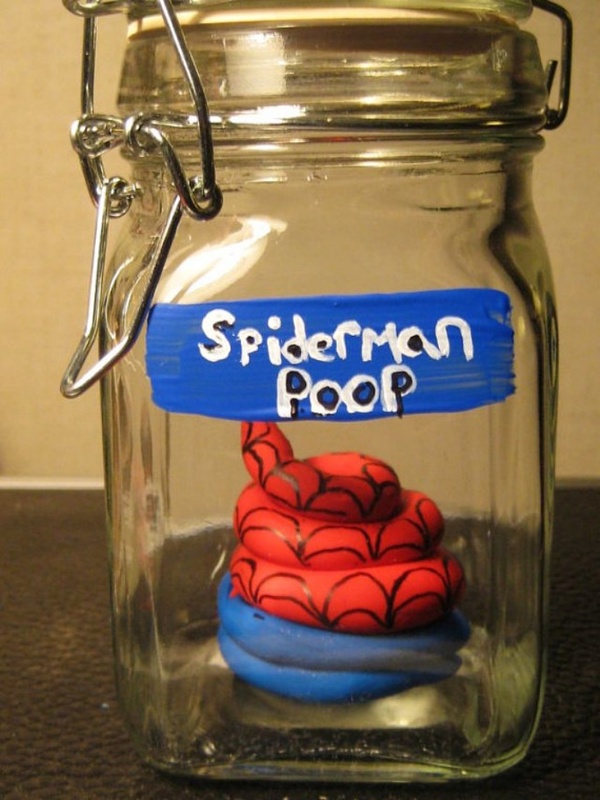 Both statements apply in the case of this collection of Superhero Poop by Antonis Art Asylum. 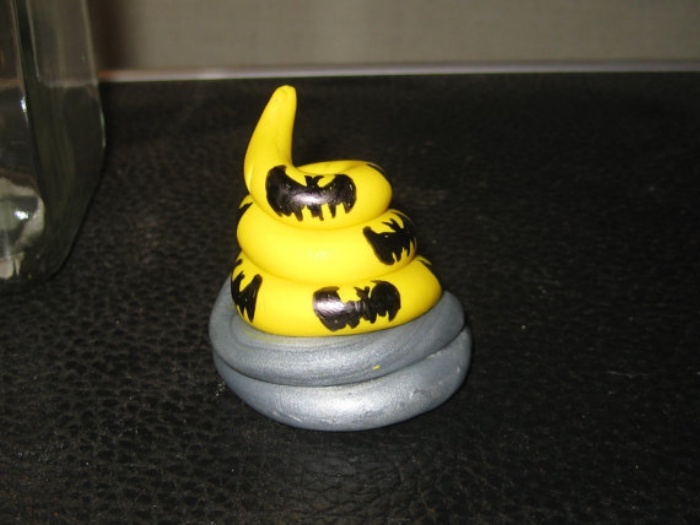 There’s nothing super or heroic about the polymer clay poop, other than the fact that they look like the costumes that the pooper (in this case, the superheroes) wear when they’re in action. By Hazel Chua on 04/24/14 • Leave a comment! For most people, the first thing they ever took a ride on was a rocking horse. They aren’t quite as popular as they used to be, with the advent of newer and more high tech toys, but they still hold a special place in the hearts of those who remembered the fun they had just rocking in place on the wooden horse. They’re also not very practical anymore, considering the tight spaces most people live in now. The fun, not to mention cheaper, alternative? 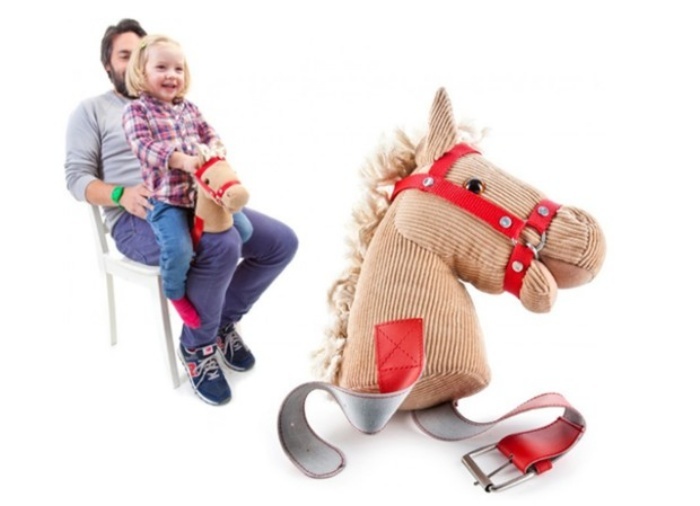 The Knee Horsey, which is basically a plush horse head with buckles on the side that are meant to go around a fun-loving parent’s leg. It can even make horsey and galloping sounds, which can be activated by pressing its left ear. Once it’s in place, just call your tiny tot to come for a ride. Here’s to making memories! The Knee Horsey is available online for $49.99. By Hazel Chua on 04/16/14 • Leave a comment! Remember those soul-sucking creatures from Harry Potter that can seal your fate with a single, fatal kiss? If you’re a fan of the franchise, then you probably do. Two dudes decided to have a little fun with the character by bringing it to life. Save for a hooded black robe and a dude who does a good impression of being possessed, the duo don’t have any props but their little prank was still a roaring success. I almost feel bad for all the people they scared…well, almost. Half of them probably didn’t get the Harry Potter reference but seeing such strangeness right before your very eyes might be enough to freak an average person out. I know I probably would’ve been, too. Check it out!